You might not plan to be great, no matter what profession you're in right now. You, probably, just want to be average and make enough to keep your life in one piece. Hey! I feel you, and to me, there's nothing wrong if you want to keep it that way. It's your career and your choice. But, when it comes to sales, you might want to reconsider your position because being the top of the game does have favorable payoff. If you have time right now, you can have more time, and I don't mean you buy time but you, perhaps, can 'fire' your sales job and spend time the way you want to. If you have comfort, you can have more comfort, if you'd like to. If you are contributing to a worthy cause, you definitely have the choice to contribute more! 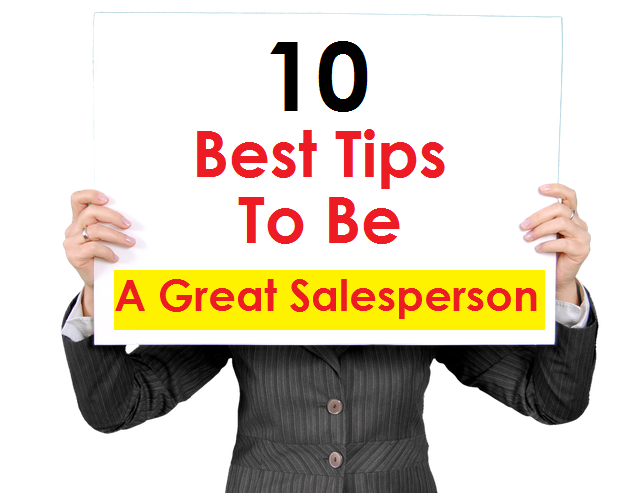 All these can come by being top of the sales game, and here are 10 tips that can put you on that spot - provided you take action and act them out. Of course, reading it is the first important step.